Albert G. is a social worker at a state-funded community mental health center. Albert provides services to a 32-year-old woman who struggles with clinical depression. The woman is an undocumented immigrant who had been physically abused by her former partner. Shortly after the relationship ended, the woman attempted suicide by swallowing a large dose of prescription drugs. The state’s governor recently issued an executive order prohibiting state-funded agencies from providing health and social services to undocumented immigrants. According to the governor, the state faces a severe budget crisis and cannot afford to provide services to noncitizens. Albert is so concerned about his client’s well-being that he is considering counseling her “off the books,” even though it would violate the governor’s executive order. Many ethical issues faced by social workers involve legal issues. When a police detective asks a social worker for confidential information about a client, the social worker must consider legal guidelines pertaining to the disclosure of confidential information to a law enforcement official without a client’s consent. When parents of a minor client ask a social worker for details about their child’s counseling sessions, social workers must consider legal guidelines concerning minors’ right to privacy and parents’ right to know about confidential healthcare services provided to their child. In many instances, ethical standards in social work are consistent with legal standards and requirements. For example, state laws generally require social workers to disclose confidential information without a client’s consent when they have reason to believe that a client poses a serious, imminent, and foreseeable threat to an identifiable third party. However, social workers sometimes encounter circumstances in which legal standards clash with the profession’s ethical standards and their beliefs about their moral duty. • Statutory law: Many federal laws enacted by Congress and state laws enacted by legislatures affect social workers. Examples include statutes governing social workers’ obligation to report suspected abuse and neglect of children, elders, and other vulnerable people; statutes governing minors’ right to consent to mental health counseling and drug and alcohol abuse treatment; and the federal HIPAA laws. • Case law: Many laws relevant to social work are created by the courts in the context of litigation and judicial rulings. For example, a judge may need to interpret the meaning or application of existing law, resolve conflicts between laws, or fill gaps in existing laws. Such rulings by the court become legal precedent or case law. For example, current guidelines concerning social workers’ duty to disclose confidential information without client consent to protect third parties were initially established in the 1970s by a major California court case. • Regulatory law: Social work practice is also governed by many regulations promulgated by federal and state government agencies, such as the U.S. Department of Health and Human Services and state human service, child welfare, and mental health agencies. Under our system of law, federal and state agencies have the authority to establish enforceable regulations. Public agencies must follow strict procedures when they create regulations (e.g., providing public notice and opportunity for public comment about drafts of regulations). • Constitutional law: The U.S. Constitution and state constitutions include numerous provisions that pertain to social work practice. Examples concern citizens’ right to privacy and protections against improper search and seizure (which are important in residential treatment programs) and protections against cruel and unusual punishment (which are important in juvenile and adult correctional facilities). • Executive orders: Chief executives in federal, state, and local governments (e.g., a president, governor, mayor, or county executive) may issue orders that resemble regulations. This authority is usually based in federal and state statute. Examples include a governor’s executive order requiring state-funded agencies to withhold health and human services from undocumented immigrants. Social workers generally agree that they should obey laws that clearly are essential for an orderly society. However, some practitioners argue that in some instances, blind obedience to the law can be shortsighted and harm clients, particularly when laws seem to be unjust. Ethical decisions in social work that involve legal issues do not always involve ethical dilemmas, particularly situations where social workers’ decisions are compatible with both legal and ethical standards. However, other situations produce difficult ethical dilemmas, particularly when social workers’ decisions are compatible with legal standards but not consistent with prevailing ethical standards in social work, and practitioners’ decisions are consistent with prevailing ethical standards in social work but not with legal standards. In some instances, social workers believe that actions the law permits or requires would violate ethical standards in social work or actions that would violate the law are necessary to comply with ethical standards in the profession. These conflicts are among the most daunting circumstances social workers face. Compliance with legal expectations and requirements may conflict with social workers’ understanding of ethical standards in social work, and compliance with ethical standards may lead to violation of the law. There are no simple solutions to these ethical dilemmas. Thoughtful, principled, and reasonable social workers may disagree in these situations. 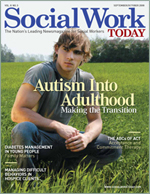 Some social workers embrace the view that all laws should be obeyed, regardless of a social worker’s personal opinion about their reasonableness. From this perspective, an orderly society requires strict obedience to laws; otherwise, we risk social chaos. Social workers have a right to seek changes in the law, but they do not have a right to violate the law. In contrast, other social workers resist blind obedience to the law because of their belief that some laws are unjust and harmful. These social workers argue that professionals must use their professional judgment and, if necessary, engage in civil disobedience. Social work history is filled with instances where social workers have had to make decisions of conscience about whether to obey the law, particularly when doing so seems to conflict with social work values. In the end, such decisions constitute some of the most difficult ethical dilemmas in the profession. These are the dilemmas that generate intense disagreement among practitioners, dilemmas that require earnest collegial consultation and supervision, and reflection on the implications of the National Association of Social Workers Code of Ethics.